Mike brings a love of nature, the outdoors, wildlife. His energy and wily sense of humor make working with him an adventure. He enjoys sharing practical projects with students. Mike holds a B.S. in Biology from George Mason University. He practices sustainable, grass-based farming. He has both a theoretical and a practical interest in farming. Mike studies and practices ecological growing of food and animal husbandry. He created a heating system for the schoolhouse and the farmhouse using locally available wood. He is involved with the students as a teacher, as a mentor; he goes on trips with the school. 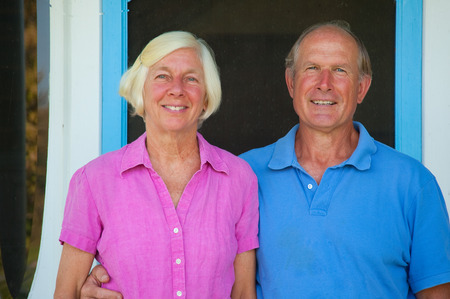 Together Susan and Mike also manage Belle Meade Bed & Breakfast and Belle Meade Day Camp. In addition, Mike is serving his second term on the Rappahannock County Board of Supervisors.